 Hanover Cross Street boasts the perfect locale, with a Walkscore of 92 and just minutes to Baltimore's Inner Harbor to give you access to a wide variety of shopping, dining, and entertainment nearby. We are only one mile to the Marc Train Camden Station so every destination is only minutes away for convenient city living at its finest. Cross Street Market is just blocks away with local cafes, bars, and entertainment. Home of the NFL Ravens, cheer on your favorite team just steps from home at M&T Bank Stadium less than half a mile away! Take a moment to yourself and enjoy the view and fresh ocean breeze at one of the numerous parks easily within reach like Solo Gibs Park right next door. The Harborplace & The Gallery is your one stop for premium shopping adjacent to the National Aquarium. Experience a new level of luxury living here in Baltimore--apply today!